Spec project: comprehensive identity project for progressive nonprofit organization based in San Francisco. 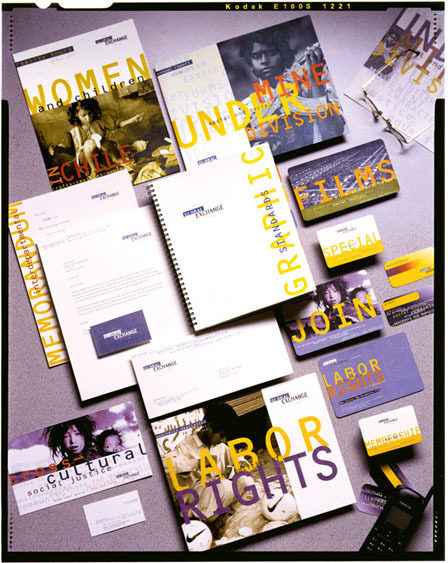 Collateral includes brochures, newsletters, postcards for film festivals, special event postcards and passes, billboards and finally a fully operational graphic standards manual. Also shown are of course letterhead, business cards, and interoffice memorandums.